The International Shooting Sport Federation (ISSF) is very likely to stick with its plans and axe double trap from the Olympic Games programme, starting from Tokyo 2020, replacing it with a mixed gender competition. Double trap is not the only shoot facing exclusion from the Games with the 50 metres Air Rifle and the 50 metres Pistol events also set to be omitted from the list. The world governing body for shooting sport said it was taking the decision to adhere with the requirements of the International Olympic Committee (IOC) who are urging international federations to attain 50 per cent female participation in the Olympics as part of the agenda for 2020. A final decision on Tokyo will be taken by the IOC next July. The ISSF proposals inevitably drew a sharp response from its member federations with most of them voicing their opposition to the measures. The Malta Shooting Sport Federation (MSSF) has exchanged correspondence with the ISSF top brass to express its concerns as the new regulations would see our leading shooters, William Chetcuti and Nathan Lee Xuereb, unable to represent the country on the big stage. Last year, ISSF president Olegario Vazquez Rana appointed an ad-hoc committee, composed of federation secretary Franz Schreiber and vice-presidents Gary Anderson, Wang Yifu and Vladimir Lisin, with the aim of achieving gender equality in Olympic shooting. In their report, the committee said that “low participation is a valid reason for deleting men’s double trap” from the Games. 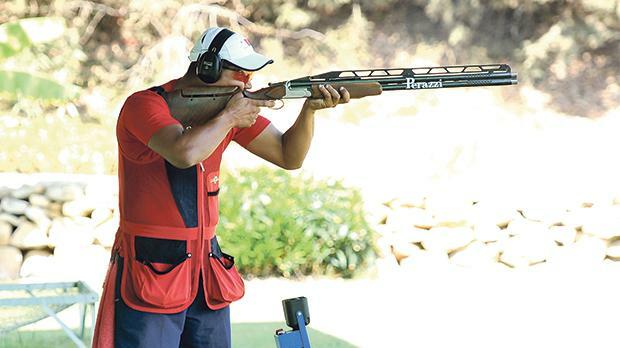 Saviour Portelli, president of the MSSF, told Times of Malta that they have written a letter to ISSF president Rana, showing their surprise at the decision to delete double trap from the Olympics. “It’s a very disappointing situation for us at the Malta Shooting Sport Federation as we have seen the development of double trap in Malta grow consistently throughout the years,” Portelli said. “Since 2010, we also introduced a shooting simulator at the Kirkop Sports Complex where young students are being trained in the sport after the school hours. “We want double trap and the sport to grow in all categories. “One also has to mention the thousands of euros attained via funds for the development of double trap in particular, mainly through grants from the Maltese Olympic Committee, the IOC’s Olympic Solidarity Programme and the ISSF themselves. Portelli added they had asked the international body to prolong the process to bring the changes into effect as it was impossible for a small national organisation like the MSSF to field a mixed team in a shotgun competition at the next Olympics. “We let the ISSF know that if men’s double trap was omitted from the Olympics it would mean a huge blow for our chances of participation. They know fully well that for a shooter to reach maturity it takes at least 12 years,” Portelli explained. However, the MSSF requests seem to have made little effect as in an email sent to Portelli yesterday the ISSF left little room for compromise. “We received your comments and thoughts but we kindly ask you as well to consider and remember the following key points that have guided us to prepare these ISSF gender equality recommendations,” the reply, signed by president Rana and general secretary Schreiber, said. “The IOC is serious when it states that it wants to achieve gender equality in all sports by Tokyo 2020 and time does not permit to wait. Shooting has become one of the leading sports in the Olympic Games because the ISSF always has collaborated and cooperated with the IOC. Maltese Olympic Committee (MOC) president Julian Pace Bonello said the governing body for elite sport in the country was behind the MSSF in their fight against the abolition of double trap from the Olympics. “We all found it difficult to understand why they want double trap out for the sake of gender equality. I think that all federations should be given time to develop the sport among women and we also agree with the MSSF that an adequate time-frame should be established before changes come into effect.